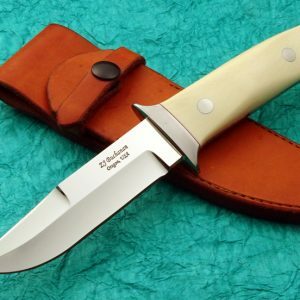 1) No Deposit: More times than not you will be ordering a knife that is a standard model; often with your particular material(s) requested. 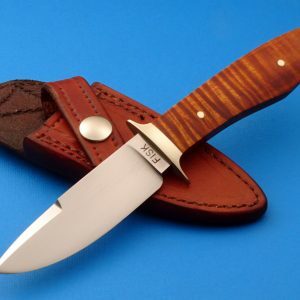 This knife should never require any kind of deposit. There is one exception, see number 2. 2) Partial Deposit: May be required if you are requesting material upgrades to a standard model. 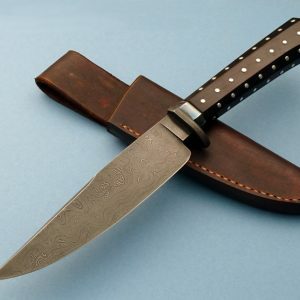 These can come in the form of blade steel such as Damascus or San Mai. Bolster materials such as Damascus or Ti-mascus and frame materials such as Moku-Ti, Zirconium or Damascus are examples. You can expect to pay a deposit for additional materials such as precious gem stones or metals. be given if you are requesting things such as semi-precious gem stones, precious gem stones or precious metals. Given the prices of fossil Ivory today, don’t be surprised if you are asked for a deposit to cover the cost of this. 3) Full Payment: This is something that should never be done with one exception. 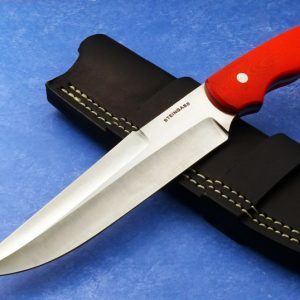 You order a knife that is so hideous or has such a horrible design that should you decide to back out the maker would not be able to sell this knife. 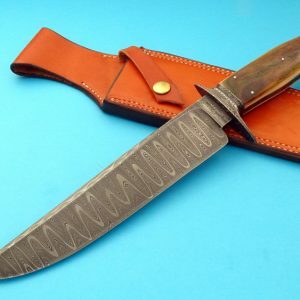 If it hasn’t happened to you already it is only a matter of time before you find yourself looking at a knife and thinking or even saying out loud “What the heck was the maker thinking.” Occasionally a maker will push the design/material envelope on their own. More often not though there is a collector behind this creation.